The post The ABC’s of Canine Communication appeared first on Keen K9. Much like a child learns to associate the word “Dooooggie!” with a four-legged furry animal, your puppy develops early vocabulary. Sit, stay, toy, ball, as well as the association of letters and meanings. For instance, did you ever find yourself spelling the word … O-U-T-S-I-D-E? 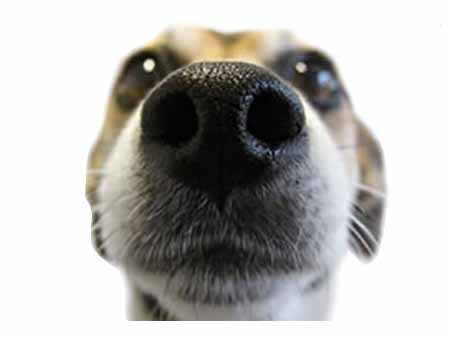 According to Dr. Coren, who is an expert in canine intelligence, an average dog understands approximately 165 words with the potential to learn many more. 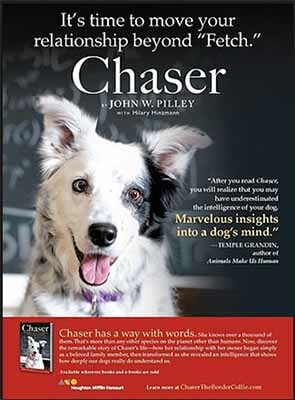 Chaser, a border collie trained retired Wofford College professor and psychologist Dr. John W. Pilley, has a vocabulary of over 1000 words. Linking words and objects such as sit, ball, outside, to its meaning helps your dog make the association. For example, “Treat!” typically renders a fairly universal response, while “It’s a nice day”, may return a wag if the said in a tone that suggests going for a walk, whilst “Treat!” is typically followed by a tasty morsel. Choosing a word such as “outside” over “exercise” is not as important as consistantly associating the word with the activity. Every keen dog learns at their own pace. Both young and adult dogs have the capacity to learn new words. The post New Year’s Pet Safety Tips appeared first on Keen K9. A Happy New Year for Keen dogs! While many celebrate the coming of the New Year, some keen dogs and other pets rather have a quiet evening at home. Unaware and often unprepared for the dangers associated with fear of loud sounds, many revelers spend the days following the festivities in search of their lost dog. Because fireworks and loud sounds ignite more than an array of beautiful colors in the sky, runaway dogs are not uncommon during the holidays. This is primarily due to the fact that fearful dogs often react with a flight response. Dogs are happiest in a safe home environment. So think twice before taking your dog to New Year’s Celebrations, especially if there will be fireworks. If the party is at your home, set up a “safe zone” to separats your dogs from food and alcohol. Keep your dog and pet’s name tag current even if microchipped. 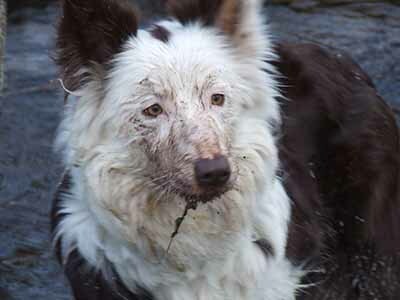 If your dog escapes from your home, call their name and follow carefully. Whatever you do, DO NOT chase because a fearful dog will often run further away rather than toward you. Put down high value food along a path to guide your dog back home. Prevention is the key when it comes to ringing in a safe and happy new year. The post 10 skills every keen dog should know appeared first on Keen K9. 1. Follow verbal cues: sit, down and stay. 2. Walk on a loose leash. 3. Come when called from a distance. 5. Able to comfortably walk through a crowded area. 6. Always friendly and well-mannered in the presence of other dogs. 7. Remain calm in the event of a sudden loud sound. 8. Allow a stranger to approach while you carry on a natural conversation. 9. Remain comfortable meeting a stranger when you are present. 10. Readily adapt to caregiver during your absence without signs of anxiety such as barking, lunging, or pacing.